This part of Windows may not be news to anyone but me, but it is a lot of fun. Click on the Start menu icon in the lower far left of the toolbar and look for either Photos or Videos. Videos goes straight to your video projects. Choose Folders under the search bar, browse to the folder where your photos are located, and click on Select in the upper right corner. Tiny boxes appear in the upper right corner of each photo. Click in the box to select the ones you want in your video. When you’re finished making selections, click Create at the top. The program will automatically create a video for you. You can choose to have one with music or customize it yourself. Here’s an example below of one I made. Please note: This wasn’t made for an assignment. I was just having fun. This storyboard is in preparation for the big project of the semester, a screencast using TechSmith Camtasia. The purpose of the screencast is to demonstrate how to switch your WordPress site to Gutenberg, the new editor. The editor itself allows greater flexibility, with each element or “block” able to be styled as the designer pleases. I’m excited about the editor, but I foresee the advent of horrible-looking websites. Call me curmudgeonly, but whenever people are allowed free-rein with colors and fonts, they will create a monstrosity. But if it brings more people to use WordPress, I’m all for it. The storyboard itself gives you step by step images of what I’ll be showing when I create the screencast. It’s a simple process–really just clicking a few buttons, and I hope you’ll enjoy watching it. 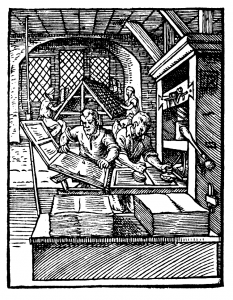 Gutenberg really is revolutionary.